The Marine EM Lab serves as a facility for the design, construction and calibration of deep-sea differential pressure gauges (Cox et al., 1984). 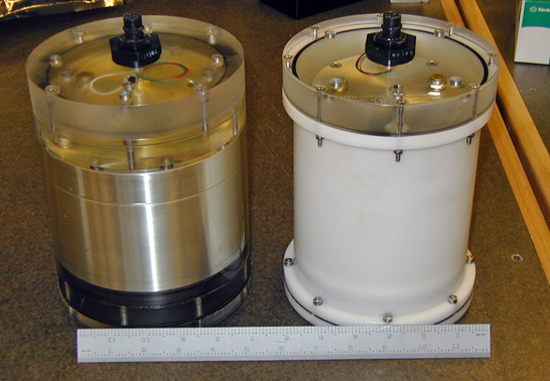 DPG sensors are capable of accurate measurements of pressures generated directly by long surface gravity waves, tsunami, and microseisms. For more information contact: Jacques Lemire, jlemire@ucsd.edu. Dimensions 152.5 mm diameter x 200 mm long, not including connector. 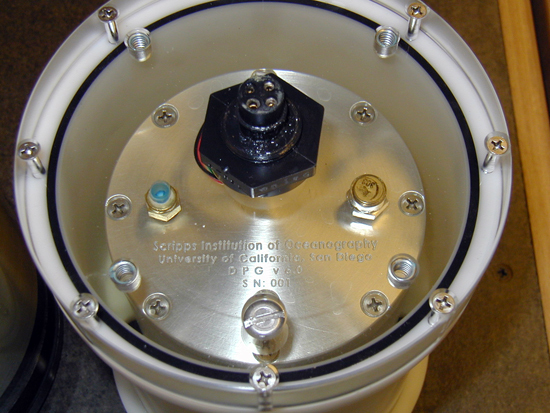 Below we show two photographs of the Scripps Institution of Oceanography differential pressure gauge (DPG). 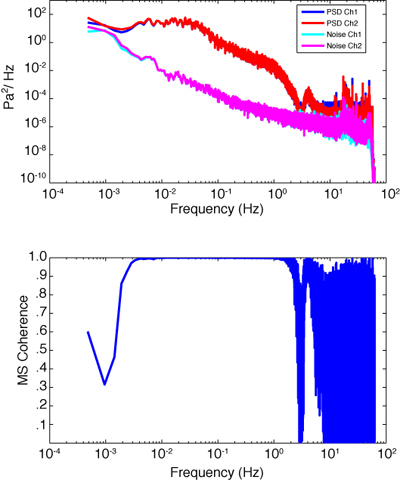 The figure below shows the power spectral density (PSD), noise spectrum and magnitude-squared coherence for two DPG data sets collected in a temperature controlled vault at IGPP. 120 minutes of data were used.